Grand Central Mall Or Nexus Mall. 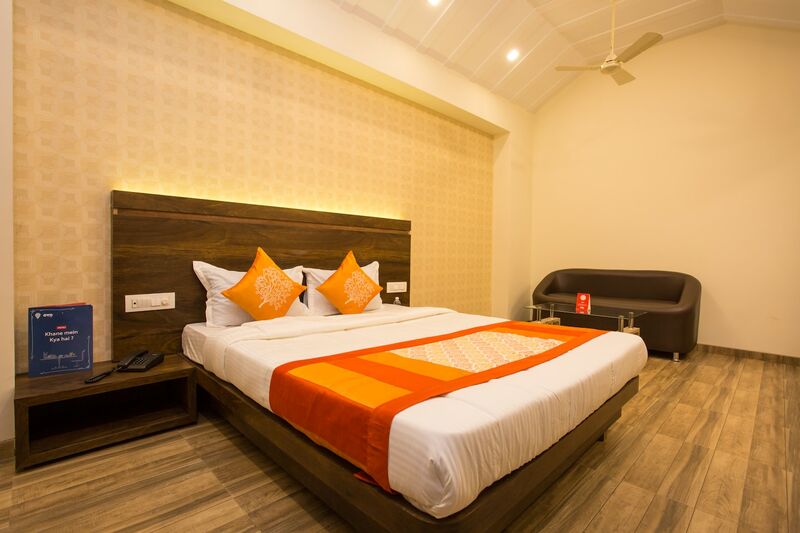 Hill View Residency is a modern and elegant hotel in Mumbai that invites travellers to stay in its wonderfully-designed bedrooms and seating areas. Spacious, fully-furnished, and equipped with basic amenities, the bedrooms are excellent for a good nights rest. These rooms are strikingly beautiful with modernistic wallpapers, dark curtains, and wooden furniture. The bathrooms are provided with a geyser and are appealing with modern fittings. The hotel is safe for guests with CCTV cameras so you can rest assured and stay without a care. For sightseeing, guests will find places like Jewel of Navi Mumbai that is ideal for a scenic walk and yoga in the morning, picturesque lakes, and, photo ops nearby.